Imagine a world that is sustainable. Where resources like sunlight, water, greenery, and food are managed and conserved for ecological balance. And where people can reside in an environment that fosters health, well being, and a connection to their surroundings. Except Integrated Sustainability is one of a rare breed of companies focused on dreaming up ways to live on this planet without harming it. With LightWave as its go-to 3D animation system, Except helps people imagine the innovative, ecologically sustainable environments they’ve designed by portraying them in credible, detailed 3D stills and animations. Corporations and governments are among the entities that ask Except’s environmental consultants, architects, and scientists to “bio-engineer” ways to make their buildings, factories, complexes, and even grand-scale urban projects energy efficient, sustainable, and ultimately socially and economically rewarding. “In many cases, people are already living in the settings to be transformed for sustainability. And it’s very difficult to get them excited about the proposed changes—and gain their trust and confidence that the proposed renovations will make their surroundings more beautiful, pleasant, and enjoyable—if you can’t convey what it will be like to live there,” said Tom Bosschaert, managing director for Except's Rotterdam office, in the Netherlands. “LightWave enables us to create rich 3D visualizations that depict how our forward thinking, ecologically sound solutions will be used on various physical projects, as well as what it will be like in those spaces,” Bosschaert said. This was the case with “Schiebroek-Zuid,” a post-war Rotterdam social housing project slated for a sustainability makeover. 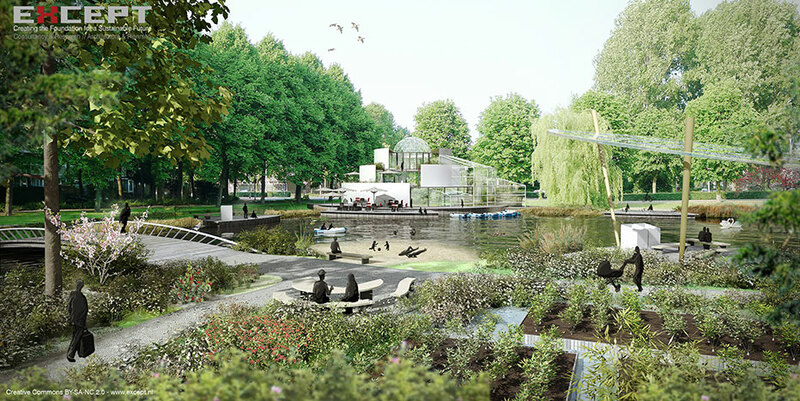 Commissioned by housing corporation Vestia and agricultural research network InnovatieNetwerk, Schiebroek-Zuid required extremely complex, colorful 3D illustrations of how the futuristic, renovated community would look, including a pedestrian corridor, Metro Plaza, Water Park, and Central Markets. While most of the visualizations that Except produces are large, high-resolution stills, the team does full 3D modeling for every illustration. This extra work pays off in the long run whenever clients decide they want to see that still frame expanded into an animated clip. Since the 3D objects and scenes are already built, artists only have to move LightWave’s 3D camera around rather than starting from scratch. To promote “Polydome,” a revolutionary approach to greenhouse agriculture developed by Except’s ecological engineers, the company expanded its collection of 3D scenes into a two-minute animation accessible on YouTube and Except’s website, www.except.nl. A voice-over and text were added to explain the significance of a greenhouse ecosystem that can produce high yields of foods with no negative environmental impact. In many cases, LightWave is used for 95-100% of the 3D modeling, animation, and rendering of these 3D visualizations. Except has several artist/animators who are proficient at LightWave, but the program’s powerful toolsets and features make it rare that more than two must work on any given project. Radiosity is an extremely critical 3D tool for showing the ambient properties of light and shadows, such as the way light shines, changes, and reflects on objects and surfaces within architectural spaces. LightWave provides a capable radiosity toolset, but on complex 3D animations, Except artists augment their radiosity capabilities by using KRay, a LightWave plugin focused on 3D animated radiosity, illumination, and rendering. 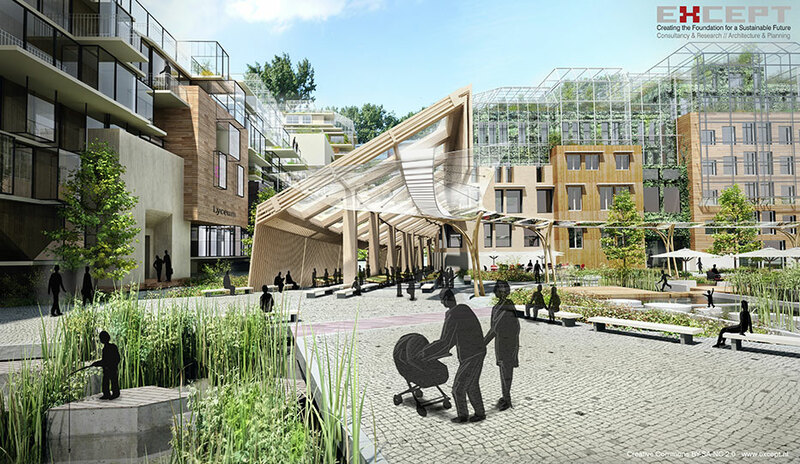 For the “BK City Slim Project,” Except designed plans to refurbish an historic, architecturally striking, brick building at the Technical University of Delft to make it energy efficient, carbon neutral, and sustainable. Since it serves as the center for architectural learning at TU Delft, Except drew-up plans that pushed the envelope on environmentally friendly design. 3D stills were created using LightWave to showcase areas of the building, such as an adjacent Green Lung Energy Harvesting Atrium. 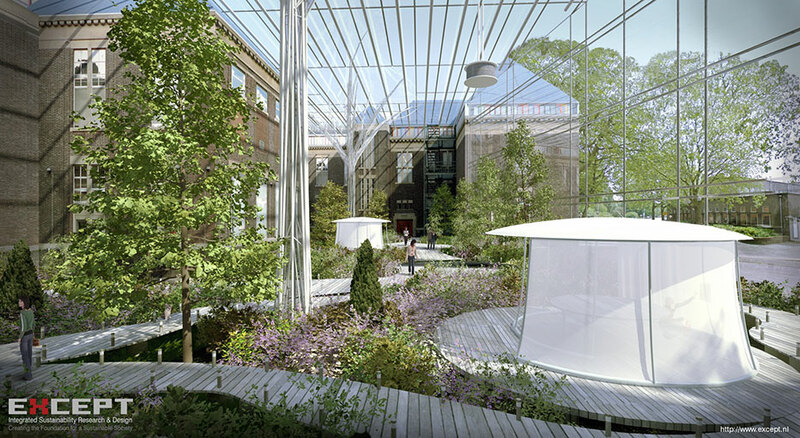 One of the 3D stills showed how sunlight pours into the atriums’ glass ceiling and walls to create an ethereal, climate-controlled interior with walkways encircling gardens, and reflects on plants, tree leaves, and flowers. 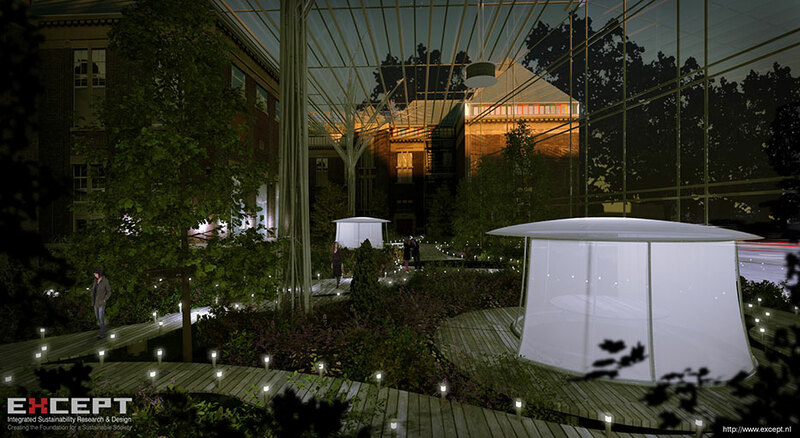 Another 3D still shows how the same space would look at night, as lit by artificial lighting. Bosschaert began using LightWave in 1997 and has remained a loyal customer ever since. While he began using it simply because the project he was working on required it, LightWave won him over, starting with its 3D modeler.